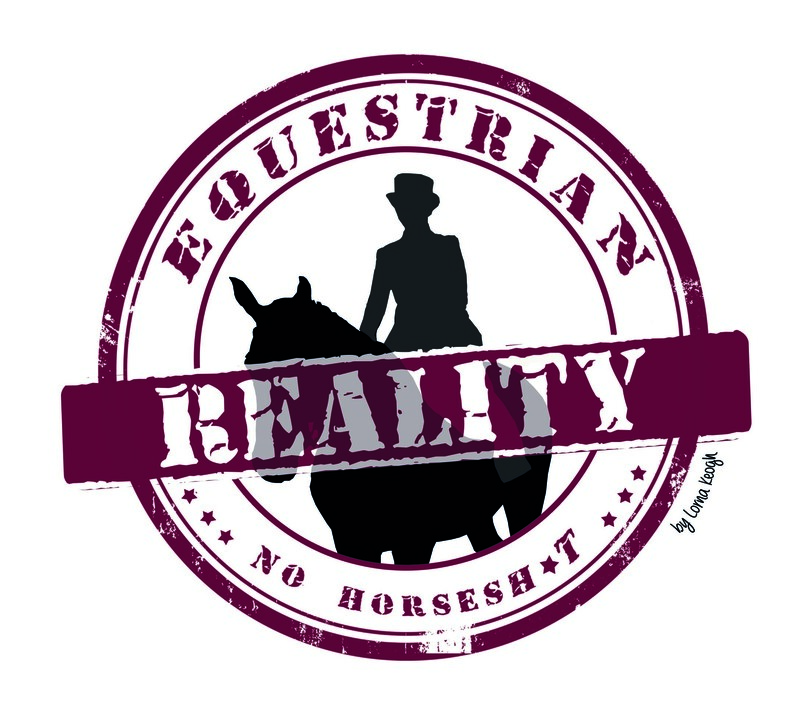 If you reading this you probably fall into one of two categories – those who work all day in an office/work/ indoor environment and spend evenings and weekends outdoors with horses or those who work full time with horses. Either way spending all day out in the elements or going from an air conditioned environment to the outdoors and back are hardship on your skin. Good quality products can cost a bit but bear in mind you wear your face every day. It’s not just for Baz Lurhman or people who live in warmer climates. Living in Ireland I’ve had a farmer tan in summer and a wind burn tan in winter. Even the winter sun and the wind can give you an awful dose of burn and damage your skin. There are a number of moisturizers, bb creams and foundations that contain built in spf that will save you having to apply beforehand. 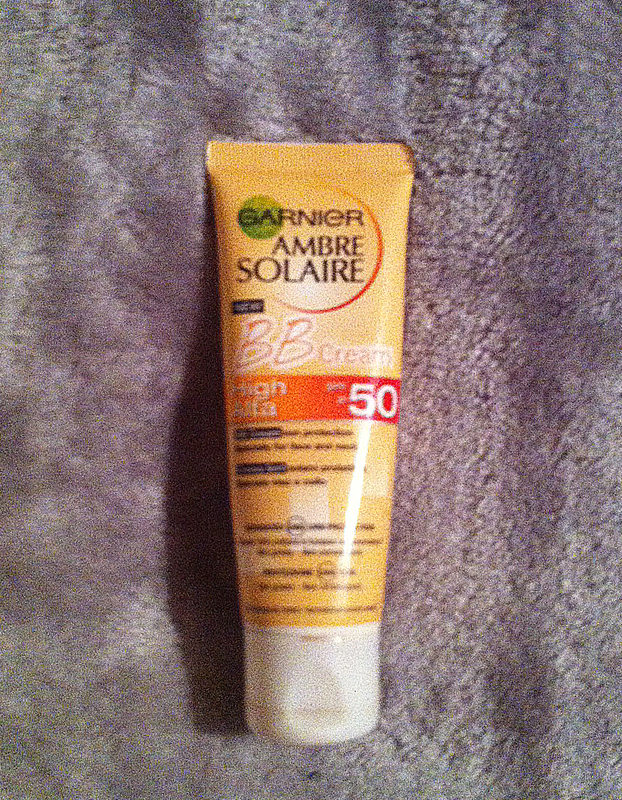 I love this bad boy from amber solaire firstly because it was half price and secondly because it is factor 50 but has a bb cream built in so I don’t look like a ghost afterwards. I am also a fan of Dermalogica extra rich faceblock. Just one thing – the same ingredients that add sunscreen to products cause ghostface in photos so if you are heading out somewhere afterwards where flash photography will be used remove any spf products first. Products with hydraluronic acid wont directly moisturize your skin on the surface but work deeper down to increase moisture retention. Indeed Labs Hydraluron is one of the best things I ever spent my hard earned on. Its available from boots and applied direct to your skin before creams / makeup it makes a high difference to skin hydration. It’s also awesome for preventing your skin from drying out when flying. I am also a huge fan of their synoxin serum which I apply at night under moisturizer. Both have made a huge difference to my skin in a short space of time. Use a good day cream that suits your skin type. Most premium brands will give samples or a consultation if you ask. I love nip and fab no needle fix serum and their instant radiance day cream which is not a premium brand but is owned by the same company as Rodial. Rosehip oil is also great for preventing skin from drying out. Personally due to texture and my skin type I’d only use oils at night. I love the Trilogy version but it is pricey so I am currently using a generic rosehip oil that I bought on Ebay which is brilliant stuff for the price. Good quality sunglasses for summer and winter sun = less squinting = less wrinkles around your eyes. Carmex is cheap, easily available and amazing at protecting your lips from cracking and drying out. Elizabeth Arden Eight Hour Cream is incredible at both preventing and treating this too. To avoid a lined neck make sure you apply any spf products and creams to your neck as well as your face. I will admit to being a bit useless about hand cream even though I have often been told that your hands can reveal your true age. Mainly because I have naturally wrinkly hands anyway so I figured it was a lost cause. A case of dry hands recently has made me pay a bit more attention recently. 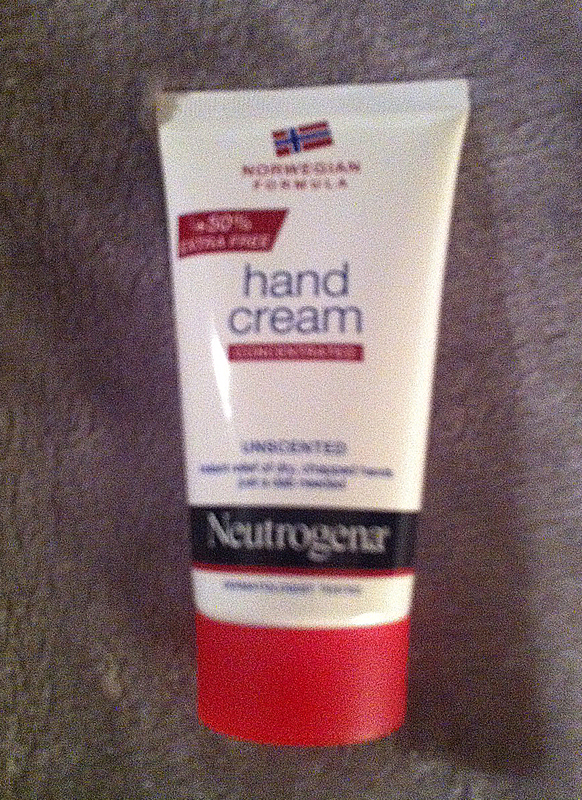 My mum, who suffers from dry cracked hands swears by Neutrogena sensitive hand cream. I have to agree with her on this one, this stuff works and it works fast. It’s not expensive and is fragrance free. I also have tried and would recommend Elizabeth Arden 8 Hour hand Cream (this will literally sort you out overnight), L’Occitane hand cream (smells divine) and Jo Malone hand cream which is a bit of a splurge but I got a gift of some at Christmas and its gorgeous. Avoid some treatments before sun exposure. Skin products that contain retinoids or glycolic acid, strong exfoliants and some spa treatments can make your skin more sensitive to daylight. Avoid using these products if you know you will be outside in all weathers the next day and if you can’t avoid it make sure you use plenty of spf. Any products with this effect will usually have this listed on the box / leaflet so always read the details carefully. This stuff is simply amazing for when your skin is burned, dry, tight sore and generally in sh*te. It has a thick texture and a little goes a long way so massage between your finger tips to warm and melt it and then gently rubbed into the affected areas and your lips. The next day you will usually see a huge improvement. I use this after clipping when my skin is dry and irritated from the horses hair. It is a waterless gel and it feels like velvet when applied to your skin. It is pricey but worth every penny for the results. Dermalogica multi vitamin power recovery mask. I have a tube of this, it lasts ages as you only need to use a small amount at a time. It’s a brilliant skin pick me up. This company do specific face creams but I’ve always found the body lotion to be the best stuff for my face. If my skin is red or dry from being out in the elements a dose of this overnight really helps and it feels lovely to apply. The big bottle lasts ages too. I am not a fan of No7 make up so I will be honest I wasn’t expecting to like this. I nabbed it from a big gift basket of No7 stuff that my mum got at Christmas and its actually great stuff! I’ve applied this before bed after a day out in the monsoon weather and my skin looked so much calmer and felt much softer the next day. all content produced on this site is my own original content, please do not reproduce without my prior consent. Posted on February 6, 2014, in General and tagged dermalogica, dry skin care, equestrian skin, equestrian winter skin, ghostface, handbag face, horses, hydraluron, indeed labs, skin care, skin products for dry skin, synoxin, winter skin care. Bookmark the permalink. 1 Comment. Very interesting and given me plenty to think about. 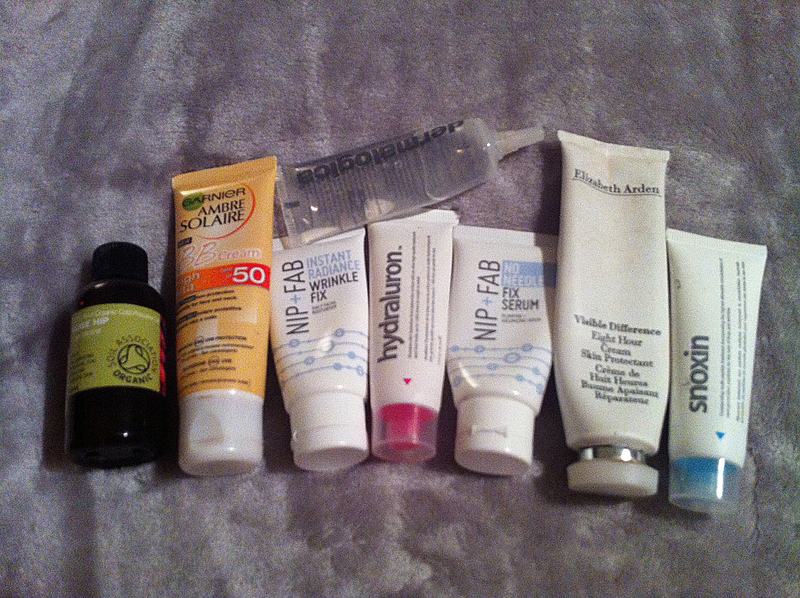 I’m terrible at using creams/moisturisers (read:I don’t) – but your post has reminded me that I’m not getting any younger & really should take more care.